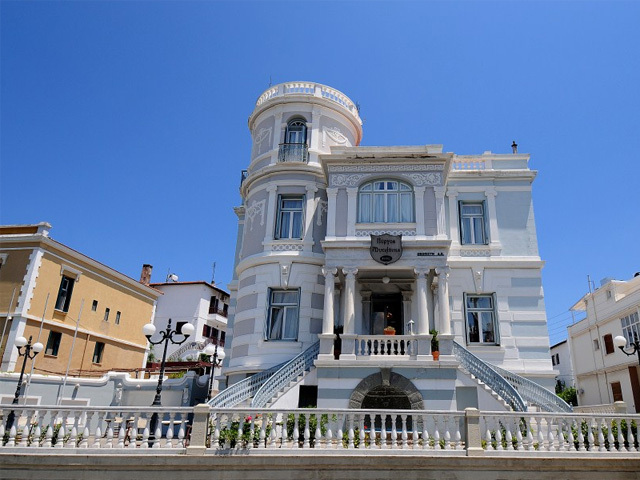 15 Hotels found in Lesvos (Mitilini)! 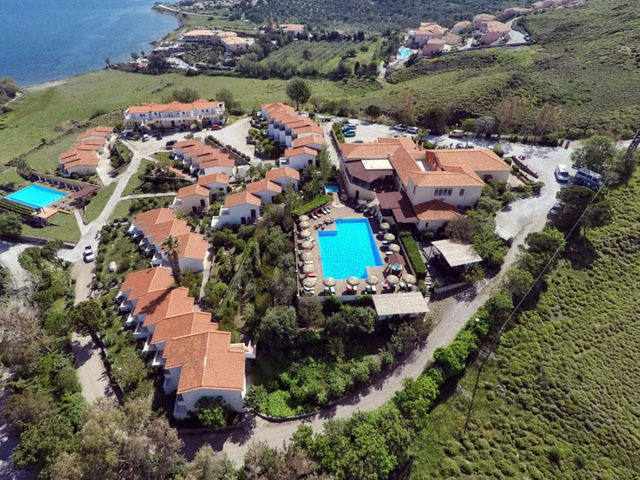 Open: Year Round... Villa Faros ideally located in Lesvos island and especially in Sigri village, offers a variety of options for recreation. 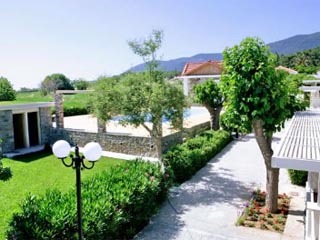 Villa Faros is offering highly customizable combinations of professionally designed services and activities. The choice is yours. Open : May to October ... As one of the finest resorts in Lesvos that has won an outstanding reputation over the years, the Sunrise Hotel Lesvos bring travelers from all around the world to experience a true sense of island paradise. 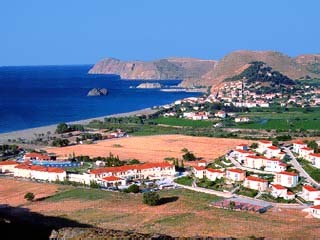 Open: April - October .... On the hillside about 20 minutes from Molyvos, BELVEDERE HOTEL offers a marvelous view to the Aegean Sea and the historic castle of Molyvos with the nearest beach within a 10 minutes’ walk.The hotel has 71 bungalows and has recently been renovated and given 4 stars. Open: April - October... 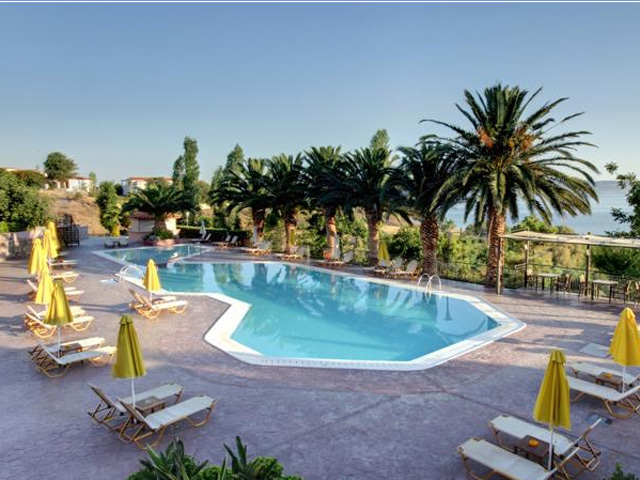 The Aeolian Village Hotel is set in a peaceful location making it the ideal place for those who need to relax or want to visit the beautiful sights of Lesvos. 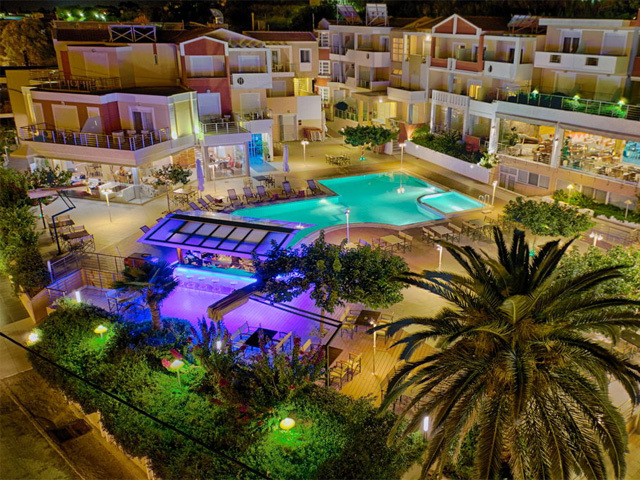 Shopping and nightlife are just one kilometre away in Skala Eressos. Open: Year Round.....Inside the hotel dominates the atmosphere of old mansion into a marriage with antique furniture and English type who excite you at first sight and transfer you to another era.